Several varieties of freshwater snails -- including apple, ramshorn, trumpet and pond snails -- are commonly found in fish tanks and aquariums. Each type is unique and often has a specific shell shape. Freshwater snails often breed when in captivity and may produce several babies at a time. Freshwater snails are often hermaphrodites. In other words, they carry both sperm and eggs and can reproduce without the help of another snail. However, some breeds, like apple snails, require both a male and female for fertilization. Snails reach sexual maturity around 1 year of age. The freshwater snail generally lays her eggs about 14 days after fertilization. The eggs look like blobs of jelly and either float on top of the water or attach to the side of an aquarium when there is at least 2 inches of airspace at the top of the tank. The eggs, or clutches, hatch between two and five weeks after the snail lays them. Sometimes, the snail produces a clutch that is infertile and does not produce babies. Therefore, if the clutch has not hatched within five weeks it may be infertile and you should discard it. A snail may lay hundreds of eggs at a time, so the number of babies depends on how many eggs are fertilized and healthy. Often, between 20 and 50 babies hatch successfully. 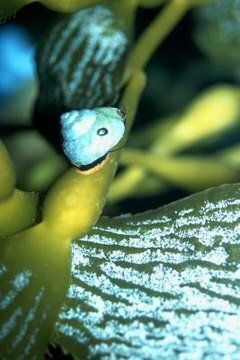 Freshwater snail babies immediately move into survival mode after hatching, according to the Snail World website. They often eat their own eggs for the calcium they require to harden their shells. Caring for baby snails is a relatively easy task. They feed off of algae in the tank, but also enjoy commercial food that contains shrimp. Cleaning your tank more often may be necessary since the baby snails produce a large amount of waste. Monitor the pH and ammonia levels in the tank with test strips weekly. The pH should be 7 or above and the ammonia at zero for raising snails. If other fish are in the tank, they may eat the baby snails. Moving them to a small aquarium by gently sucking them out with a turkey baster may increase their chances of survival when aggressive fish are an issue. MadSci Network: How Long Does it Take a Snail to Have a Baby?